Hi, my name is Stephanie Santos. I am 18 years old and currently attending Southern Connecticut State University as a student athlete of the Women’s Soccer Team. I have been playing soccer since I was four years old and like many other sports, soccer is considered to be very physically demanding, therefore, there is always a risk of injury. With that being said, as time went on, I began to have issues with my hamstrings, particularly at the beginning of high school season. Unfortunately, every season of every year I would have to take time off at some point to care to my hamstring injury. I would regularly attend physical therapy, or use other injury preventive methods, however, everything I tried seemed to benefit me only for a short period of time. I needed something that would be permanent and with my first year of preseason approaching at Southern, I knew I had to be as healthy and as fit as possible. I couldn’t be sitting out of training sessions, workouts, or games like I was forced to do in high school. Therefore I took a different approach and I began to look into chiropractics and was soon referred to Dr. Flynn of Balanced Body. After meeting multiple times a week, for several weeks, I noticed a change in my body and my performance on the soccer field. After getting adjusted, stretching regularly and practicing a variety of strengthening techniques, I was able to have a successful freshman year as a student athlete with no injuries the whole year round and I plan to have the same outcome this upcoming 2012 season. I feel very thankful to have had Dr. Flynn and her chiropractic techniques to turn to with my recurring and sometimes frustrating injury and I can now successfully perform to the best of my ability on the field without having to worry about my hamstrings. I have been to many chiropractors in my day. I am 38 years old and have been going since I have been 21. When I moved to the Waterbury area and found Dr. Flynn, I was blessed. As many chiropractors I have had in the past say, 'Marc, you are a case study'. Fortunately for me, Dr. Flynn does not think so. She is the only chiropractor who has been able to help. Her knowledge about not only the back, but a healthy lifestyle in general makes her the top in her field. I currently reside in West Hartford and make the drive to Naugatuck just to continue to be in her care. 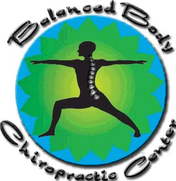 I recommend Dr. Flynn and her company Balanced Body Wellness Center and tell all my friends about her. Thanks for all you've done for me Jackie! During my pregnancy, Dr. Flynn treated me both in the first and third trimester. In the first trimester, Dr. Flynn's adjustments helped to alleviate symptoms of nausea and fatigue and helped release my thoracic spine, which had locked up due to the increasing weight on the front of my body. In the third trimester, Dr. Flynn helped release tight ligaments so that my baby (who was in the position that would create back labor) would turn. The last adjustment I had was in week 40 when I asked Dr. Flynn to help bring on labor. My water broke that night. Thanks Dr. Flynn! I am lucky that my first chiropractic experience was with Dr. Flynn, who is an example of a doctor who cares about the whole patient. She never rushes patients out, nor does she only look at the part of your body that hurts. Instead Dr. Flynn thoroughly treats patients each visit, paying attention to particular nuances and changes. I highly recommend Dr. Flynn. Her experience and caring heart make for a healing chiropractic experience that has resulted in better posture, healthier sitting habits, and a straighter, taller spine. My family and I have been going to Dr. Flynn for years. However, it wasn't until my recent pregnancy that I truly began to appreciate her magic touch. In the early months of my pregnancy Dr. Flynn was able to keep my hips square and aligned to make room for my growing baby, something she has been able to do ever since. As my pregnancy progressed she has helped me with lower back pain and round ligament pain in my lower abdomen. The magic of her work however, came to be in a few key instances for me. In my fourth month I had serious constant rib pain from breast tissue pulling on my ribs. My doctor had no suggestions. I told Jackie about my problem and in one session she made my pain better by at least 80 percent. The pain occurs occasionally now, but for only a few minutes not a few weeks at a time! At the end of my eighth month Dr. Flynn was able to take away my acid stomach for over 24 hours straight and since her treatment I have had less acid problems in general. During that adjustment she was also able to make more room for me and the baby. I hadn't breathed that well since the last time I had visited her. I experienced terrible back pain during my pregnancy. Having never been to a chiropractor before, I was uneasy about safety and unsure as to what to expect. Dr. Flynn took the time I needed to answer all my questions and respected my concerns. Her expertise and warm and caring manner put me at ease right away. Since then, my whole family has benefited from her services, including my baby boy. It is with confidence that I say, you are in good hands with Dr. Flynn.